This website is best viewed using Chrome or Firefox. The impact of your gift is felt on campus every day. 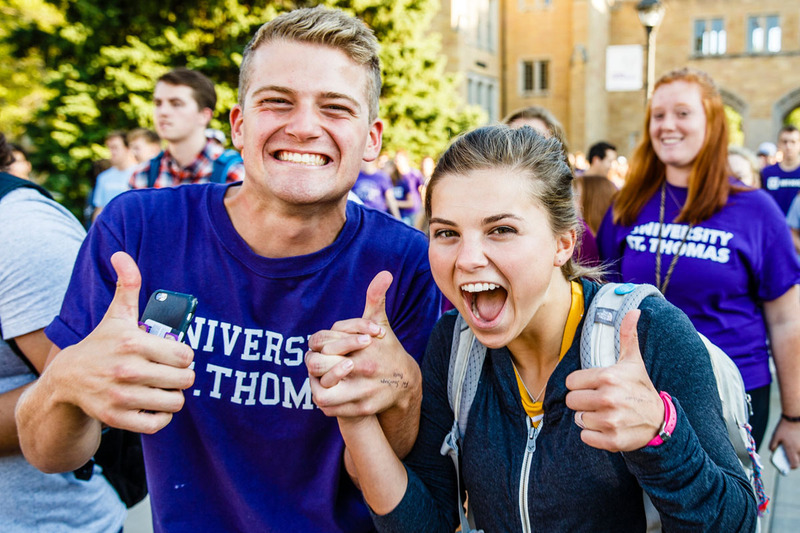 Your generosity empowers Tommies to serve the underserved, solve big problems and brighten futures. They innovate, create and literally change the world. More than ever, the world needs Tommies. And today’s Tommies need you. We gratefully acknowledge alumni, parents, friends and other supporters who gave financial gifts to St. Thomas in fiscal year 2018. Your support is forging excellence in education – and that forges excellence in individuals who will have the power to change our world for the better. Our goal is not only for every student to lead a fulfilling, successful life, but also for each and every one to graduate a “changemaker” with the tools to impact the world. Please enjoy these stories of incredible Tommies who are already making a difference in the world.